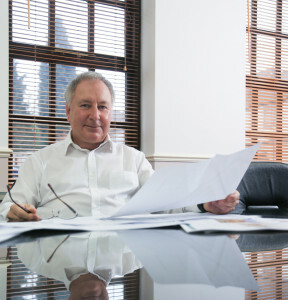 Derek Burton of Amstrong Burton Group works with a number of the UK’s leading house builders. We asked him how current issues are working through at the sharp end of the industry. Are you seeing offsite happening with house builders? Currently, there would appear to be a major drive by the housing industry which is aligned with the Government’s 2020 ambitious targets and its thinking on the need for more offsite solutions to provide the housing stock required for the country. 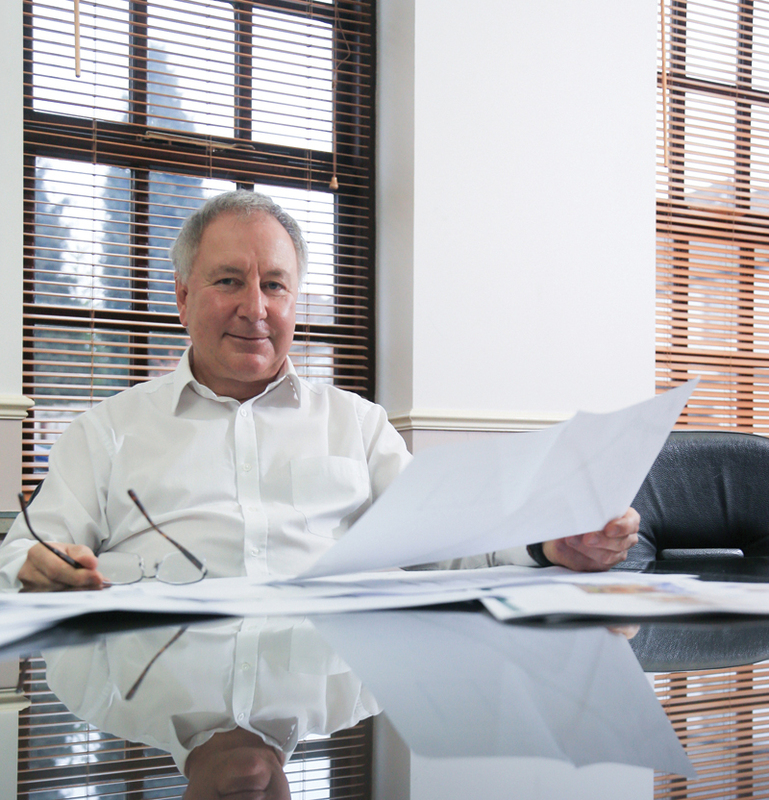 Undoubtedly we now have more clients keen to consider modern methods such as modular construction, pods and alternative approaches including timber and steel frames. House builders are talking to us more and more about these alternative options before they make a decision on which way they want to go. What’s driving the interest in offsite? I think it is a combination of factors. Undoubtedly it’s the desire to reduce personnel onsite, not having the skills onsite, wanting to build more quickly. Builders also want to improve health and safety and they know that offsite has a reputation for reducing risk. If there wasn’t a cost benefit at the end of it then clients maybe wouldn’t consider it – so I would probably say that it’s costs and health and safety because I know these are major concerns for a number of clients. For us as architects, the offsite providers need to work hard to ensure the details they provide are accurate enough for our team to incorporate into our drawing packages, and of course they need to communicate the inevitable revisions efficiently to all parties concerned. It is still early days and there is a bit of learning required if the full efficiencies are going to trickle down through the whole system. Give us your real world opinion of BIM? I believe it is now widely accepted that BIM will become the normal way of working just as the drawing board gave way to CAD. To me it is inevitable that it will become the norm, the standard. Clearly the advantages are already being shown on large complex building projects and it is a government requirement on public sector projects. It has been more difficult to translate those benefits to house building but gradually more major house builders are either implementing BIM or considering the options and timescales for its introduction. Although, in the first instance, this is used in development of standard house types perhaps from a central design office and it has yet to move out to the majority of regional offices. A large part of this reluctance is the high capital investment involved in putting the software into all of their regions and there is also the issue of allocating training time. This is always a challenge when so many internal design departments are already so busy. What are the drivers for change in the industry? Collaboration between suppliers and house builders can be of great value. Taylor Wimpey, for example, have provided a service for the last 10 years where collaboration has been a core function with their supply chain. As architects, we are constantly embracing change as we develop and grow the business. For example more and more planning applications now need to be supported by the use of 3D modelling. We decided to expand our capabilities in this regard including housing layouts, design and graphics. In addition to mainstream house building, we also specialise in the retirement and extra care sectors for older people. This is an example of us responding to how the market is evolving as people are living longer and demand for care increases. What’s next for your practice? We want to expand our work with national house builders and housing associations. 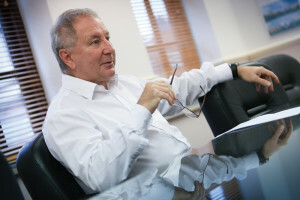 We are also targeting new relationships with other regional offices of existing clients. We have a great team of knowledgeable and efficient architects so we want to get out and promote our abilities to more and more house builders in 2018. At Smartroof, we are proud to have been shortlisted for a second Product Innovation Award this year to date. The Structural Timber Awards will take place at the National Conference Centre, Birmingham, on October 10. Smartroof has been shotlisted in the Product Innovation category for its Smart Suite. 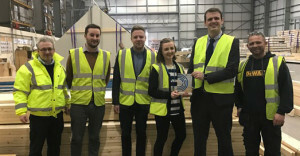 More than 500 leaders and innovators from across the construction sector will gather for this prestigious award ceremony, which will reward outstanding projects, innovative products and dynamic people promoting excellence in structural timber across the UK. The ‘Smart Suite’ is a purpose-built, reusable marketing suite for the house builder to provide the critical first impression for potential house buyers. 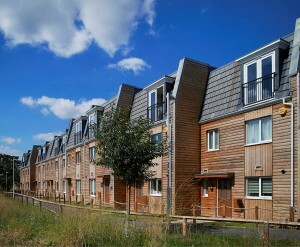 The product provides an ideal location in which to showcase the house types on offer in a particular development. Built in a factory environment, the Smart Suite benefits from all the advantages of offsite construction and can eliminate many of the issues a house builder can experience with selling in the early stages of a development. Ultimately the Smart Suite helps the builder get on site faster and build and sell their houses more quickly. This is an important innovation in the market given the well documented housing crisis facing the UK construction industry. At Smartroof, our customers drive everything we do. In an effort to improve our offering we have taken a number of steps this year to bring our service into line with the needs and expectations of our customer base. With our new Site Support Packs, Installation App and our various engagements with the NHBC, we are committed to improved products and an enhanced experience for all. Our new Site Support Packs have been designed with our house builders in mind. With each stage of the Smartroof process being covered meticulously, from the call-off process right through to post installation checks and after sales support, the Site Pack gives support to the house builder throughout the entire process, ensuring smooth running of delivery & installation of our products. Designed for installation teams, the Smartroof Companion App provides instant access to comprehensive product information – from utility tools to installation videos. With an intuitive interface, the Smartroof App offers technical data and product features across the entire Smartroof product range. The app also features YouTube-hosted “How To” videos, illustrating the most practical application and best use of Smartroof products and materials, technologies and systems. The App is currently being rolled out across our installation teams in an effort to ensure the process runs smoothly and to provide consistency across our build process. 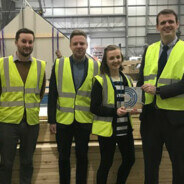 In an effort to continue to improve our health & safety procedures and to ensure compliance we have recently hosted a number of visits from the NHBC at our factory in Swadlincote. These visits have afforded us the opportunity to showcase our product portfolio and to gain any feedback from the NHBC as to our manufacturing process. This series of meetings was a very positive experience and we received strong feedback at each opportunity. Smartroof is delighted to announce it has been shortlisted for the Product Innovation Award at this year’s Offsite Construction Awards. The ceremony, which will be held on 13th June at Blackfriars in London, will celebrate the best in precision building design and delivery. The Awards will reward outstanding examples of prefabrication and factory-based methods, products, systems and disciplines that increasingly strive to develop a sustainable, streamlined and cost-effective way to deliver a better built environment. Smartroof’s entry for this category has been focused around the ‘Smart Suite’; a purpose-built, reusable marketing suite for the house builder to provide the critical first impression for potential house buyers. 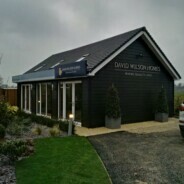 The Smart Suite provides an ideal location in which to showcase the house types on offer in a particular development. Built in a factory environment, the product benefits from all the advantages of offsite construction and can eliminate many of the issues a house builder can experience with selling in the early stages of a development. Traditionally built marketing suites can be a slow build process and can delay the beginning of marketing and ultimately sales activity. A traditional build is also often required to be knocked down and rebuilt elsewhere on the site, making the process more expensive and labour intensive. Ultimately the Smart Suite helps the builder get on site faster and build and sell their houses more quickly and is an important innovation given the well documented housing crisis facing the UK construction industry. The Construction News Awards are the only national awards for specialist contractors and the winners represent the best of the best in the UK construction industry. 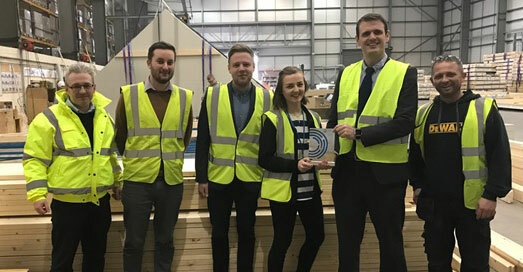 The Keystone Group were praised for their innovation across the group companies, with Hi-therm lintels and the Keylite insulated collar singled out for particular praise. The judges also described IG Masonry Support’s brick slip system as a ‘particularly ingenious solution to a common problem.’ The commitment to health & safety and efficiency was also commended through the use of Smartroof’s pre-insulated roof panel systems and the GRP components provided by IG Elements. You never get a second chance to make a great first impression, so the first experience of a development can make all the difference. Smartroof has developed a reusable, purpose-built marketing suite to provide the all-important first impression for potential house buyers. This is an ideal location to showcase the house types on offer in a particular development. 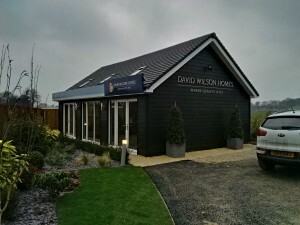 Currently, a major problem for house builders is that most marketing suites need to be knocked down after use, or else the building needs to be over-specified as a garage to allow for a marketing suite. In this instance, the marketing suite then needs to be transformed back into a garage, incurring overspending due to expensive brickwork installed after the suite is removed. The Smartroof solution is a factory built timber frame structure that can be erected in a matter of hours onsite, with the house builder then finishing to their particular specification. The speed of construction provided by Smartroof is of great benefit allowing sales to be made before construction on the rest of the site has even started. Moreover, the complete structure can be converted into a garage or dismantled and erected onto another site, allowing the sales process to begin much more quickly and improving efficiency for the builder. For more information on the marketing suite, check out the installation videos here or email info@smartroof.co.uk. Smartroof is delighted to have its commitment to innovation recognised by winning the ‘Product Innovation Award’ category for the thermally advanced Prism roof panel system at the Structural Timber Awards. The awards were held on the 19th October at the National Conference Centre in Birmingham and hosted by Mark Durden Smith. 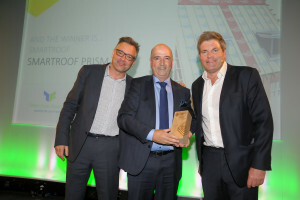 The awards showcase innovation, celebrate best practice and recognise expertise in timber technology and the ways it contributes to an attractive, energy efficient and sustainable built environment. Smartroof’s R&D team have worked tirelessly to produce a safer, faster and more cost effective method of room in roof construction that guarantees the benefits of site safety, thermal performance and speed of construction, all whilst locking in cost-certainty at a fixed supply and fit price. Comprised of interlocking, hinged SIP panels, Prism helps create a stronger, quieter, more airtight and energy efficient home. Less air leakage means less drafts, fewer noise penetrations and significantly lower energy bills. Ultimately, Smartroof has simplified the design and build process of room in roof construction for its customers whilst creating a thermally efficient, comfortable living space for the homeowner. Installed in hours not days, Prism offers a consistent thermal performance as low as 0.09W/m2k which can be computer modelled to facilitate any specific enhancements allowing design freedom from an early stage in the project. 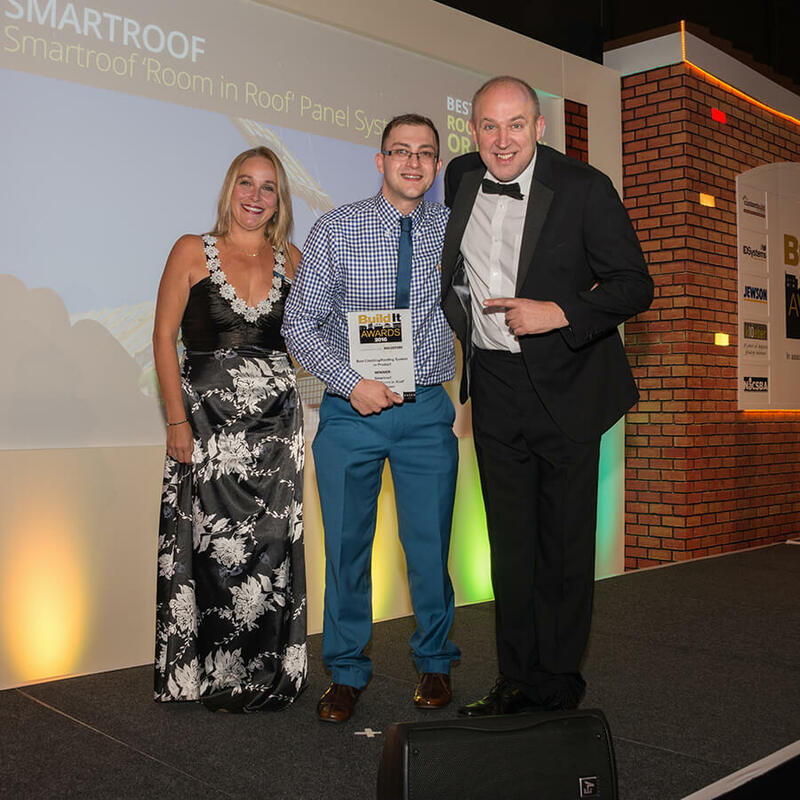 We are proud to announce that Smartroof’s Classic Room-in-Roof panel system has picked up the award for ‘Best Cladding/Roofing System or Product’ on Thursday 22nd of September at the glittering 2016 Build It Awards ceremony, which took place at The Hilton, London Bankside. This innovative roof system is produced offsite and installed in less than a day to deliver major benefits to our customers in terms of site safety, thermal performance, quality assurance and speed of construction. Consequently, the numbers of hours working at height are dramatically reduced, while the risk of falling blockwork, use of power tools in confined spaces, and manual handling of steels is completely eliminated. Like all Smartroof products, the Classic system arrives in a single load, reducing materials handling and vehicle movements on site. A unique feature of Smartroof’s Classic system is that, it is the only panel system on the market that runs gable to gable. This effectively means the end user has a clear open space within their attic to configure whatever way they wish as they are not constrained by supporting walls. The Mansard roof is a 17th century architectural design, found on some of the most influential properties in Europe. However, Smartroof’s innovative design team have brought complex room in roof configuration into the 21st century and made it readily available for use in domestic properties. 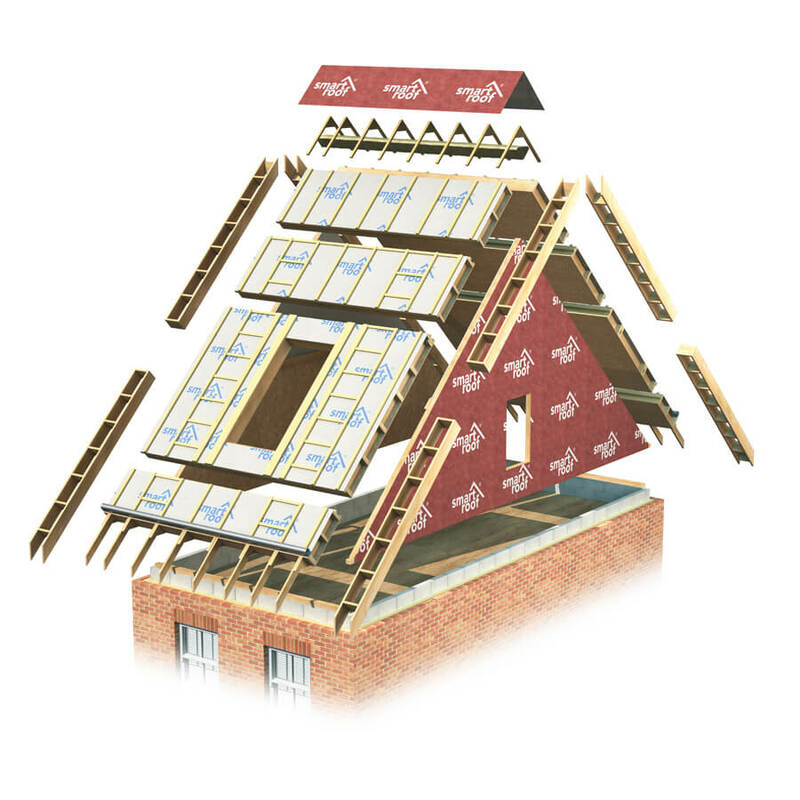 The mansard design principles allow house builders to maximise the use of the interior space in the attic as well as offering a simple way to add one or more storeys to an existing or new building. In some cases this can be achieved without the use of masonry. Comprised of Smartroof’s thermally advanced pre-insulated panels and supported using superior strength Ketro and FJI Beams, this revolutionary system further demonstrates the versatility of Smartroof’s product offering and their willingness to create new innovations for their customers. 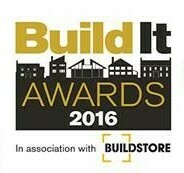 Smartroof is delighted to announce that our revolutionary ‘Room in roof system’ has been shortlisted in the ‘Best Cladding/Roofing System or Product’ category at the 2016 Build lt Awards. Manufactured offsite, the Smartroof system is produced in a factory controlled environment to create a locked-in price and cost certainty for the builder. Moreover, as the roof can be supplied as a single subcontracted item at a fixed price, it compares favourably to the traditional build route which requires multiple materials, trades and hire-services: all with the ability to over run on cost. The Build It Awards, in association with BuildStore, celebrate all aspects of self-building and renovation; including completed projects, services and suppliers. The awards bring together architects, manufacturers and key industry figures in recognition of innovation and excellence in the custom home sector.